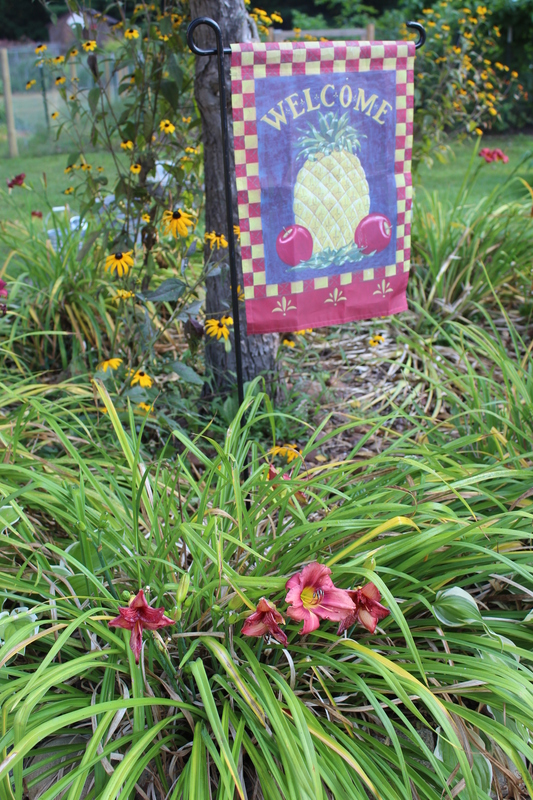 Welcome to our flower garden! 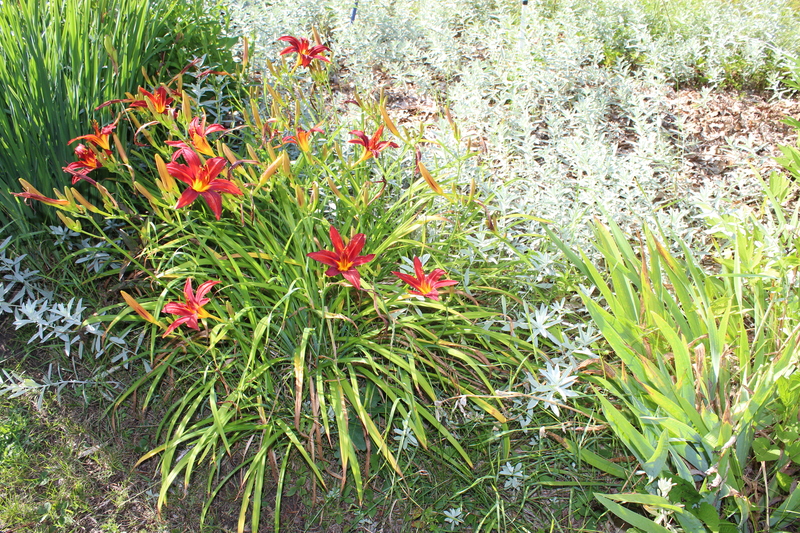 It’s been a very dry summer at the Small House Homestead; our lawn is parched browns and yet today our homestead is being blessed by a life-giving rain. Our thirsty garden and property is soaking up this lovely rain water while our water containment totes are gathering additional water for our autumn transplanting. Thank you Rain Gods! 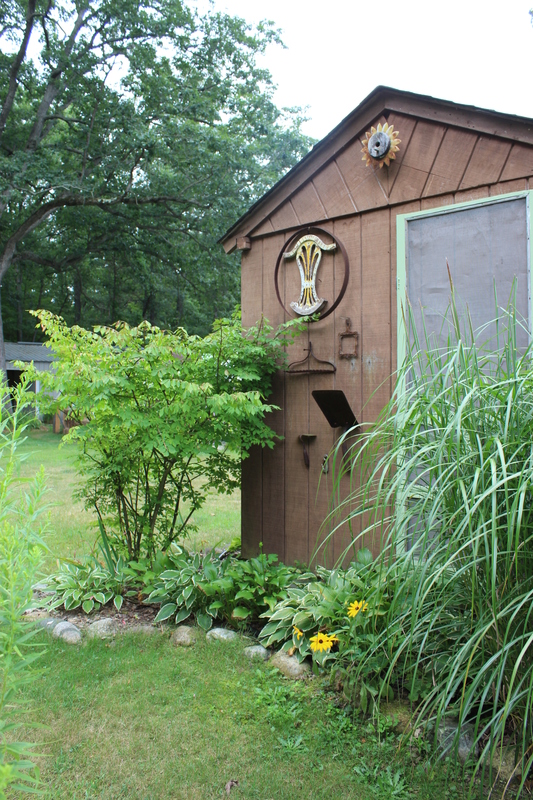 Grasses, hosta’s and a non-native burning bush behind the pool shack. 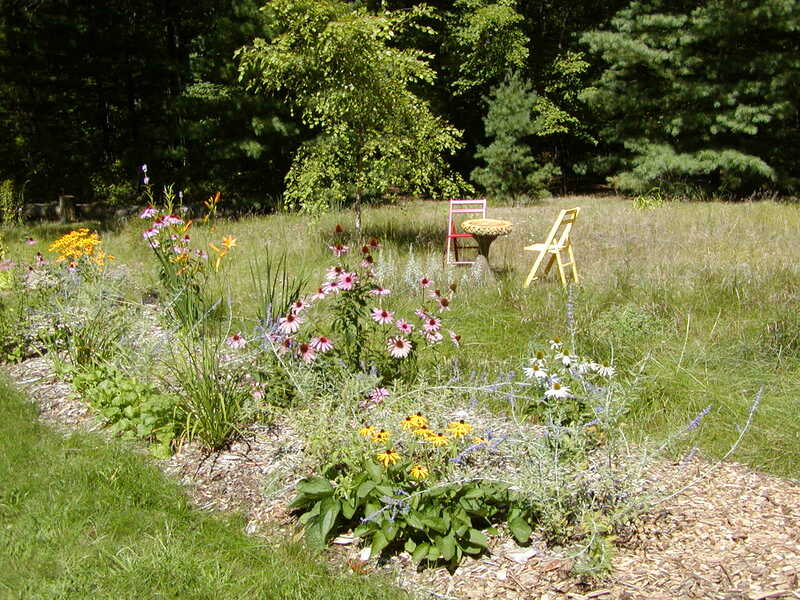 SW Michigan is often droughty in late summer and it is for this very reason that I plan mostly native plants. 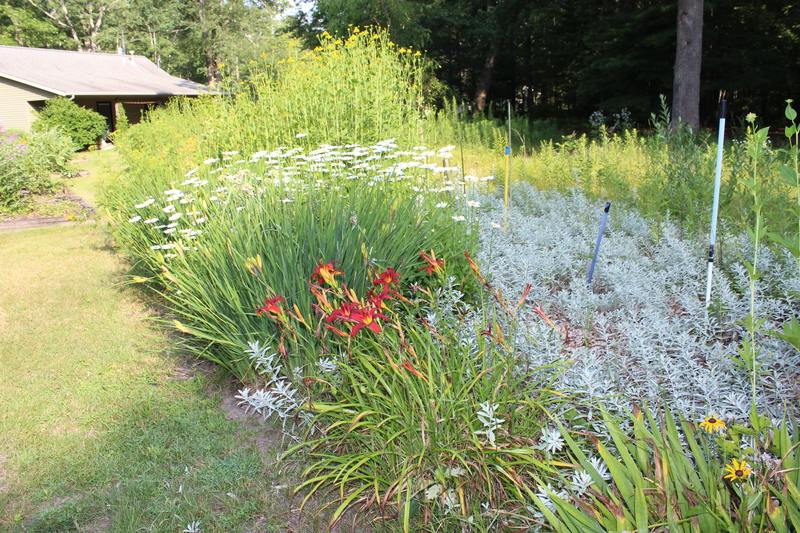 One of the best thing about native plants and grasses is that once established they don’t need much additional water to bloom and continue to look pretty all season long. 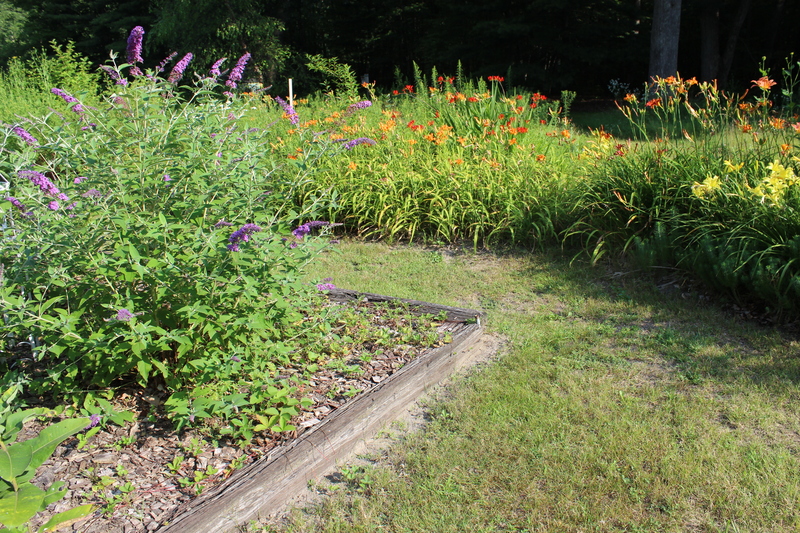 Black Eyed Susan’s add a splash of color and seeds in the bird bed. I have been watering our newly planted fruit trees every other day using a trickle hose to keep the roots wet but our grass has pretty much gone brown and dormant. It’s pretty ugly now but I know that this is temporary and our lawn will green up nice again when the autumn rain arrives. 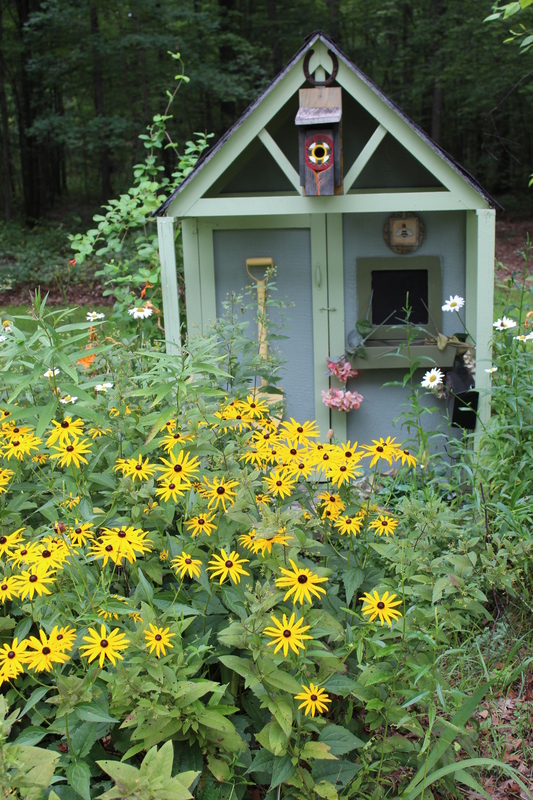 Black eyed Susan’s in front of the meadow playhouse. 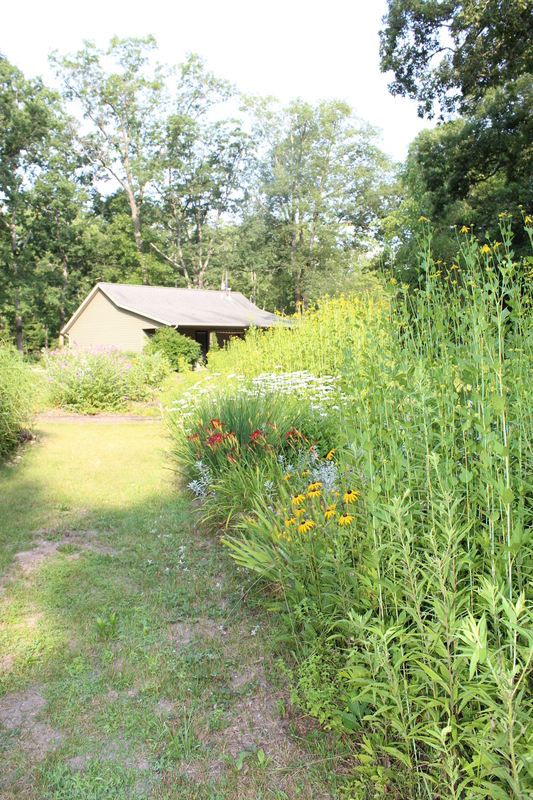 The blooming flowers pretty much make up for the unpleasant brown grass as the meadow and the blooms of the native plants are absolutely outstanding right now. 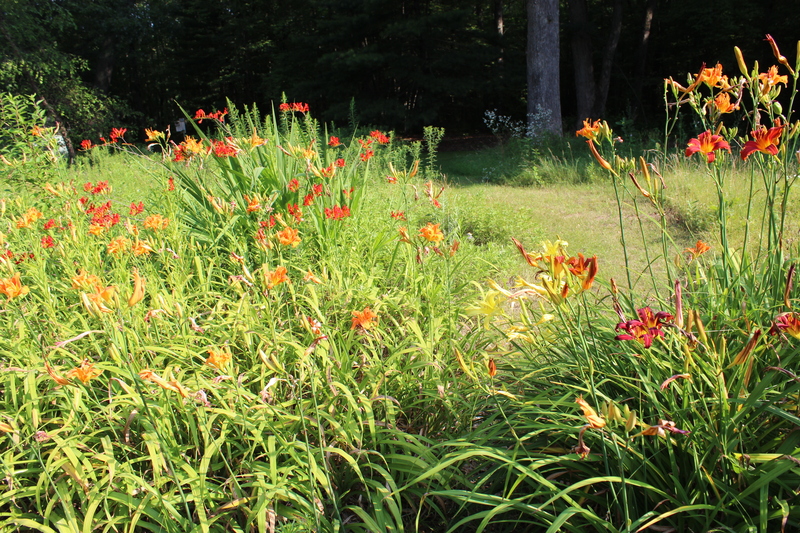 It’s hard to imaging the grass being so ugly and the garden flowers being so beautiful but that’s the power of natives! 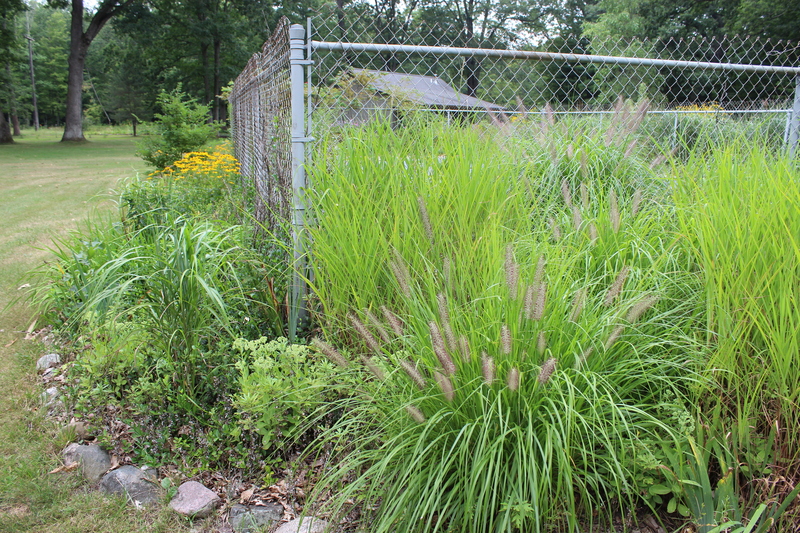 Ornamental grasses and native obscure the required metal chain link fence around the pool. 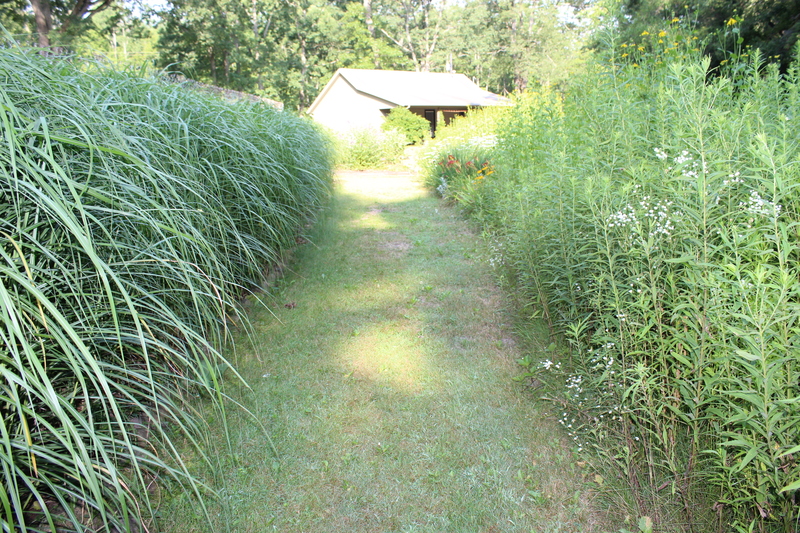 Native plants, ornamental grasses and burn out lawn at the meadow. 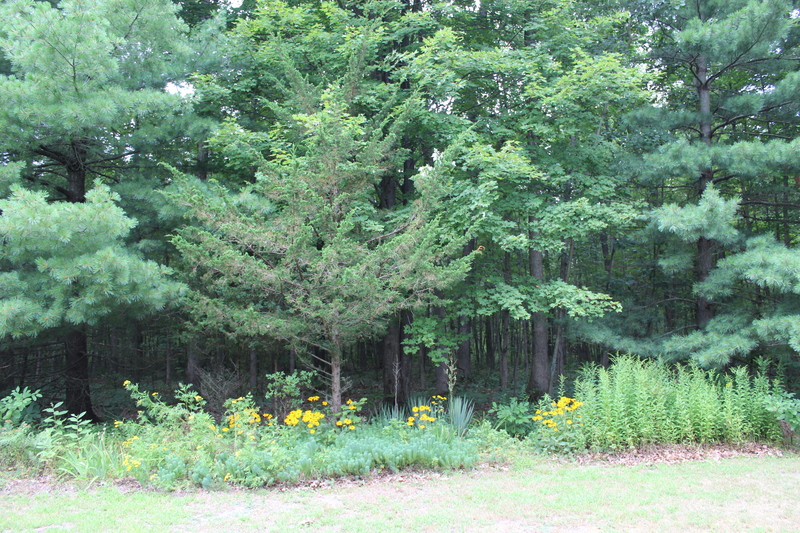 Some color peeks out at the hardwood forest tree line. 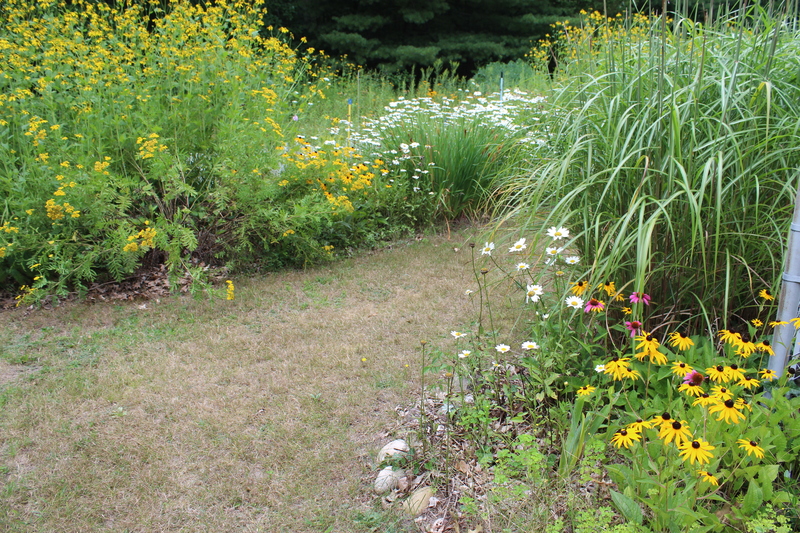 I leave some of our native flowers and ornamental grasses standing in the garden leaving the seeds for the song bird to eat. 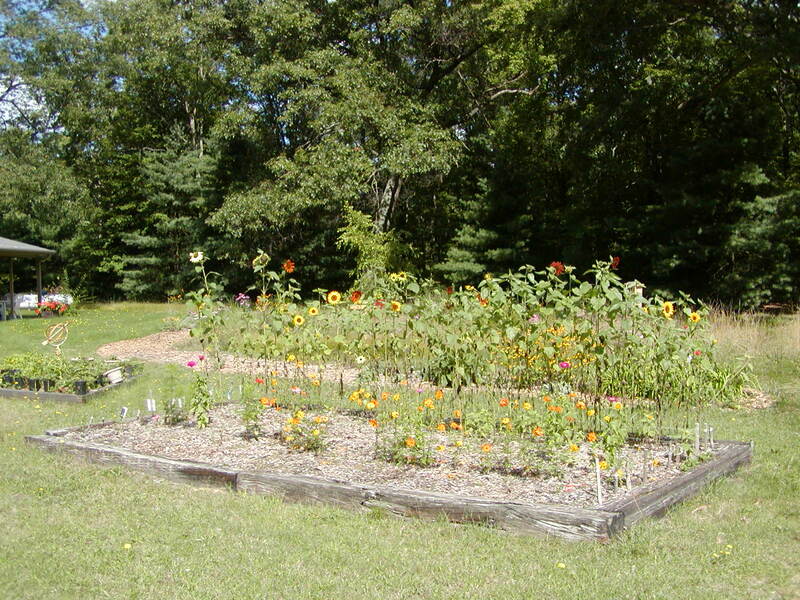 And others, like our many brown eyed Susan’s, I let them stand until they have gone to seed. 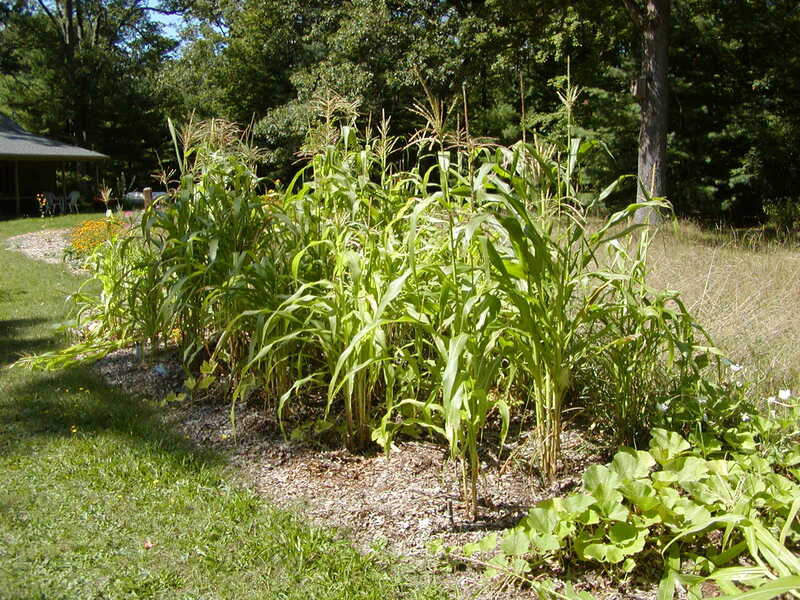 Then once the seed heads are dried and the seeds ready to fall out I cut off the seeds heads and stems and toss them into our ditch and other sunny areas where I want more plants to grow. 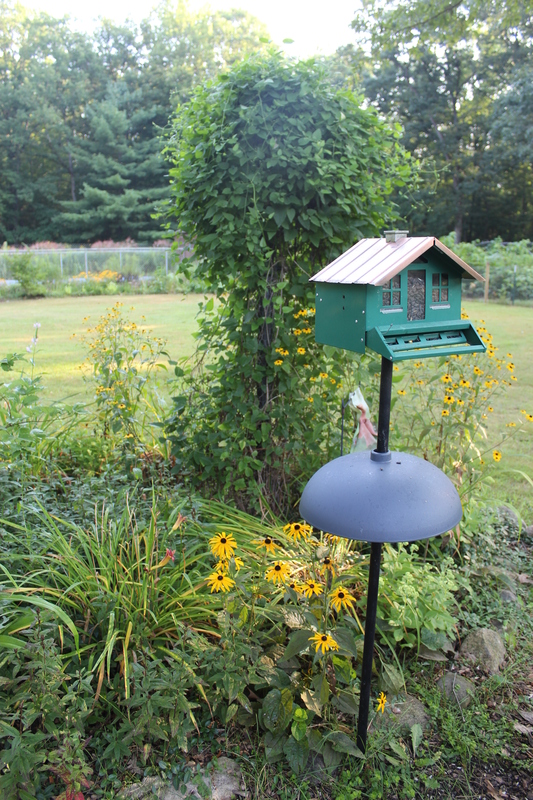 Our brown eyed Susan’s are just the perfect native plant for easy seed spreading this way. 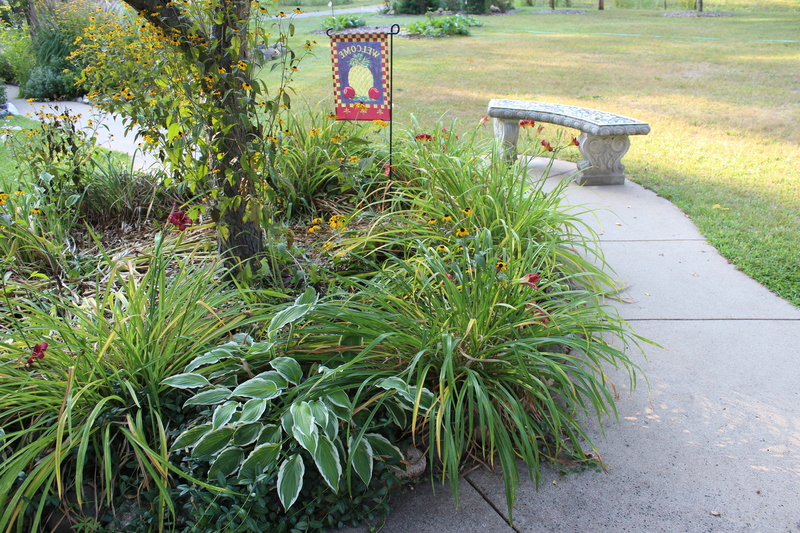 A bed under the crabapple tree is filled with hosta’s, day lilies and Brown Eyed Susan’s. 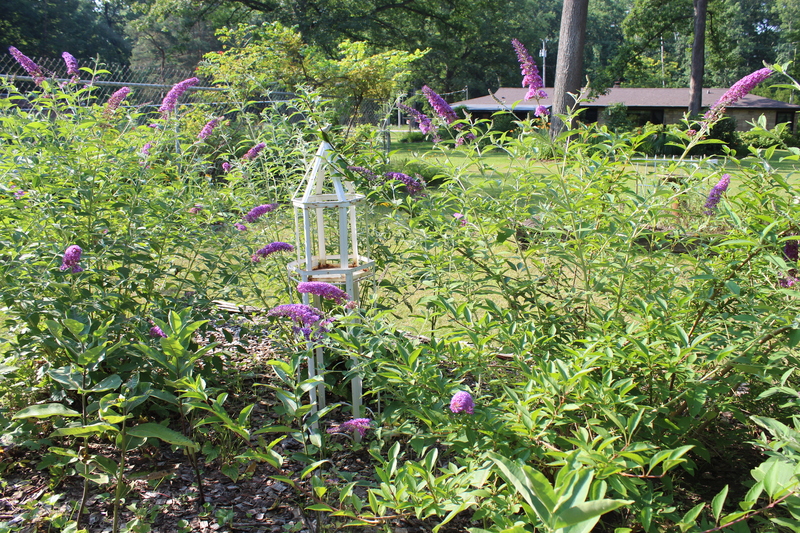 I hope you enjoy this August Photo Diary of native plants and I hope that you too can bloom where you are planted!